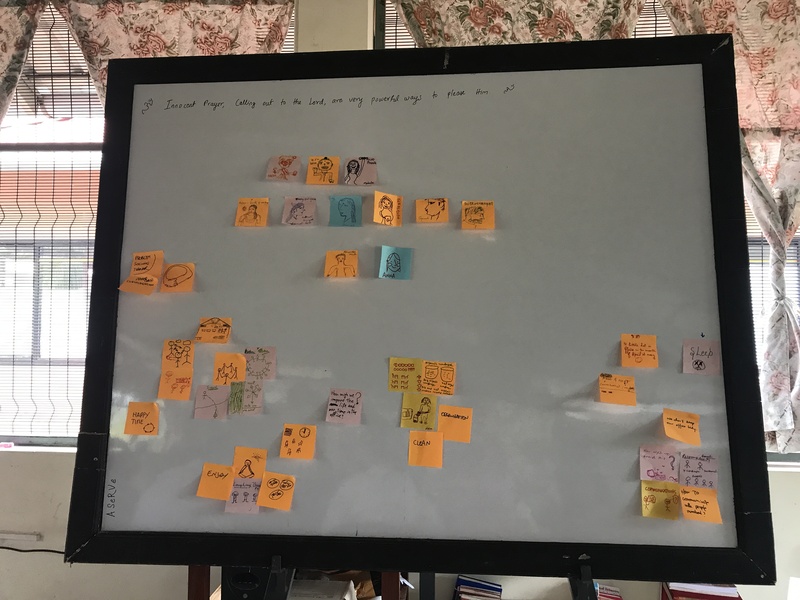 Provide design thinking tools and a problem solving approach to people from vulnerable communities. In the past, all villages in India were self-reliant. Villagers grew their own food and they themselves made all the items that they need. There was a blacksmith and a carpenter in every village. People knew how to build houses. The focus was on using local resources. Now the whole world is realising that reliance on local resources is key to sustainable development. 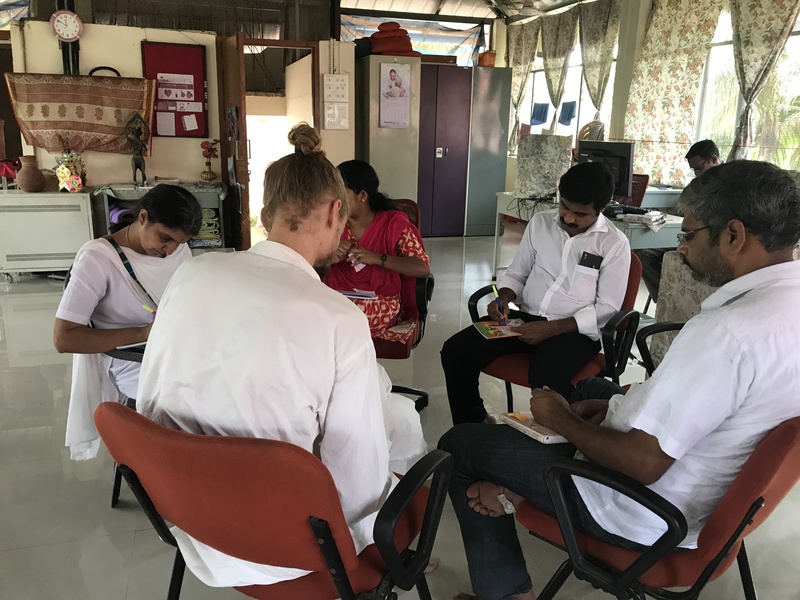 Amrita Self-Reliant Village (Amrita SeRVe) is a project of the Mata Amritanandamayi Math that aims at supporting some of the poorest rural communities in currently 21 Indian states so they may return to their original prosperity and independence. Amrita SeRVe wants to bring back the spirit of self-reliance in each villages. Today, migration from villages to towns and cities is increasing day by day. There are many material problems in the villages that need to be solved. 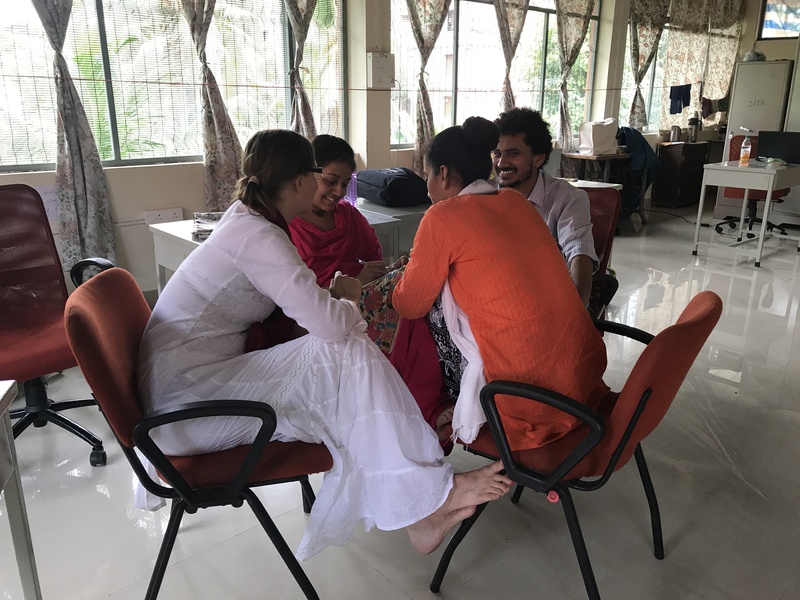 The team (15 people) that leads the Amrita SeRVe program attended a three-day activity oriented workshop, where they were introduced to concepts of design thinking, human centered design (HCD), research methodology, co-design to solving a wide range of complex problems. 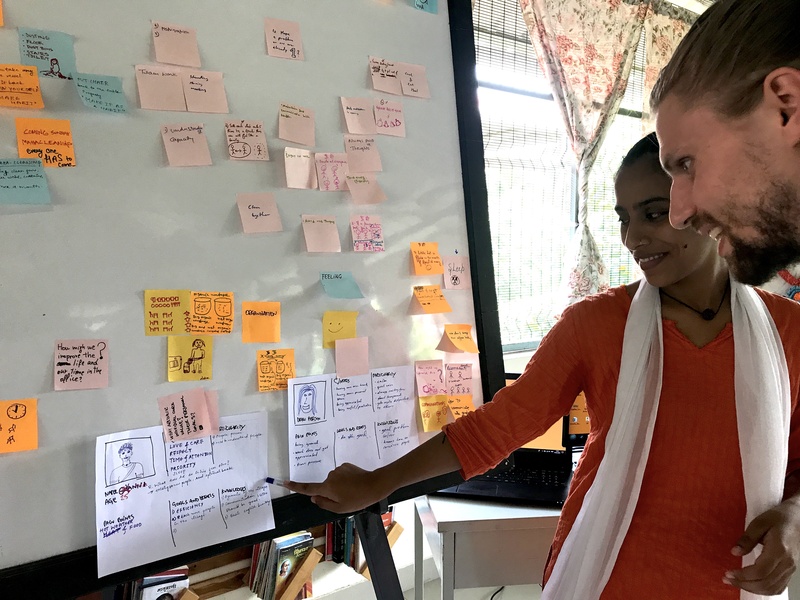 Anyone can learn and apply human centered design to any challenge to find innovative solutions. It’s a valuable life skill and a process for collaborative problem solving. 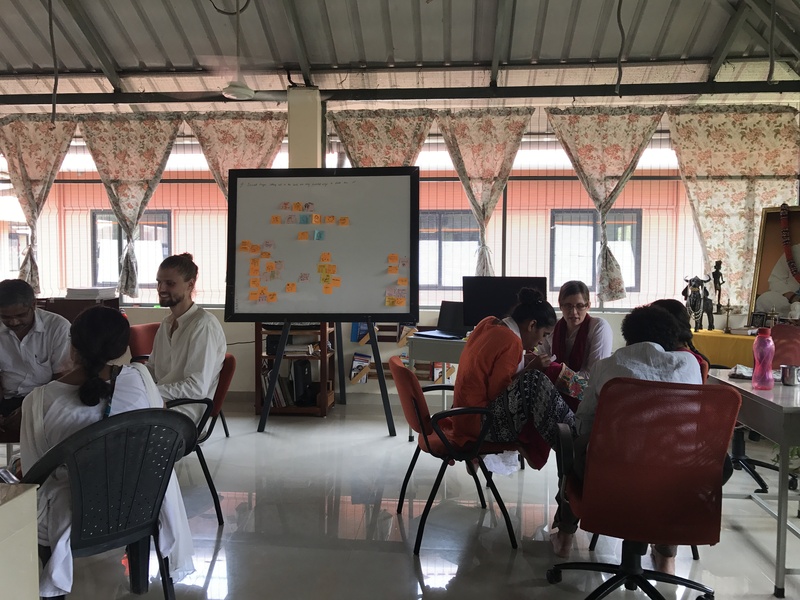 The team (15 people) That leads the Amrita serving program attended a three-day activity oriented workshop, where they were Introduced to concepts of design thinking, human centered design (HCD), research methodology, co-design to solving a wide range of complex problems. Anyone can learn and apply the human centered design to any challenge to find innovative solutions. It's a valuable life skill and a process for collaborative problem solving.